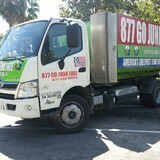 GO JUNK FREE AMERICA is "America's Greenest Junk Removal Service"™! We remove junk and debris from residential, commercial, and industrial locations. We remove hot tubs, spas, and all surrounding equipment. Go Junk Free is the nations leading remover of RV's and Motorhomes. 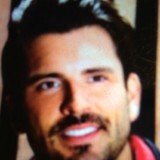 We are also Hoarding remedition experts. We have been featured on "Hoarding Buried Alive" twice and "The Doctors" for our expertise. Our uniformed crews can remove anything that isn't toxic. We guarantee the lowest rates, and most importantly, we are FULLY LICENSED AND INSURED. (Workers Compensation, General Liability, and Commercial Auto as required by state law) Go Junk Free America is the highest rated service in Southern California. We have more 5 star reviews in more places than most of our competitors combined! Everyone has stuff they want to get rid of, but not everyone has a truck or the time to take their stuff to the dump. 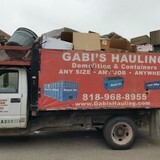 Gabi’s Hauling provides the truck and the crew to load and remove all your unwanted items. Gabi’s Hauling specializes in Los Angeles area trash removal including clean-up from construction, demolition, excavation and roofing sites. If you're a large or small contractor, a business owner, or a homeowner, Gabi’s Hauling will do a thorough and complete job of hauling away anything you want disposed of. NO JOB TOO BIG OR TOO SMALL - Fast Hard Workers & Reasonable Rates In addition to hauling we also offer Trash bin & container rentals. 2 Yards to 40 Yards Trash Container Rentals - For apartment buildings, shopping malls and any industrial businesses, as well as private parties. We haul anything away 310 739-9029 residential and commercial . 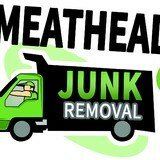 Full scale junk removal company with big trucks and small prices . There are full-service junk removal companies in Thousand Oaks, CA that help with everything from clutter and hoarding cleanups to appliance recycling to donating unwanted items. Keep in mind that you may need professional help removing certain items from your home, particularly if they’re toxic or unstable. Here are some related professionals and vendors to complement the work of junk removal: Tree Services, Environmental Services & Restoration, General Contractors, Home Builders, Landscape Contractors. Find rubbish removal professionals on Houzz. 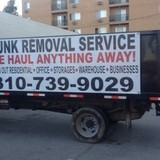 Narrow your search by city or zip code for a list of Thousand Oaks, CA rubbish removal services. Get contact information so you can ask about rates, and read customer reviews to find the best rubbish and trash removal service for your home improvement project.